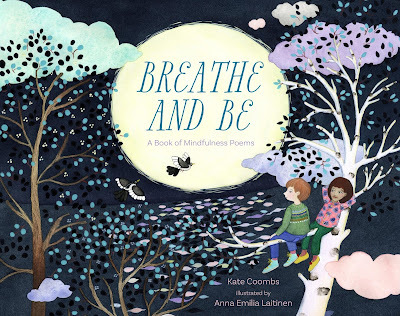 Students - Today I am happy to welcome my friend Kate Coombs, author of BREATHE AND BE: A BOOK OF MINDFULNESS POEMS illustrated by Anna Emilia Laitinen. As I read Kate's beautiful words, looked at Anna's gorgeous pictures, and thought about my mindfulness class, I realized that this book could not come at a more magical time in my life. Reading Kate's invitation, I was moved to write a tanka-like poem myself. I will now hand the baton to her for the teaching about this ancient Japanese form. 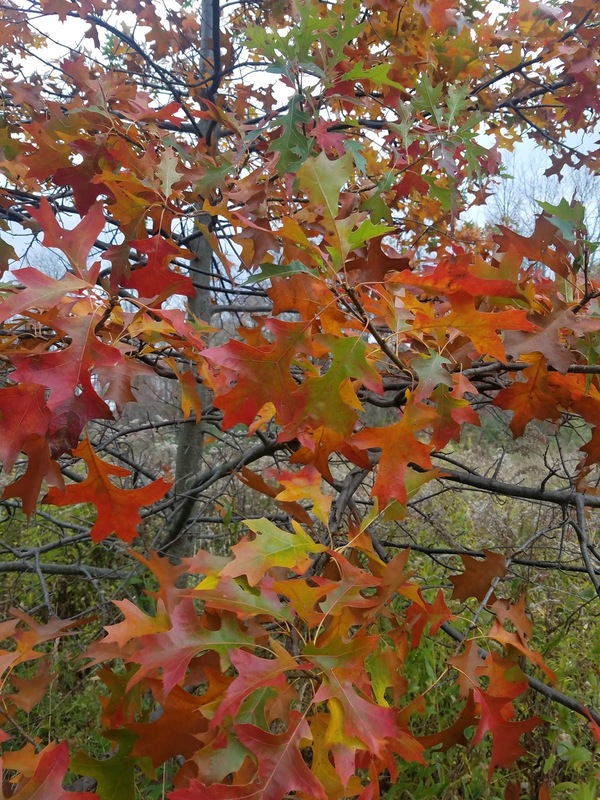 It is Kate who brought me back to this pin oak in my mind, Kate who helped me quiet myself and remember this place and moment from earlier this week. I am grateful. Welcome, Kate! Would you please tell us about the tanka form and about your new book? Writing a book about mindfulness wasn’t really my idea! My editor friend worked for a small publisher that was starting to do children’s books about yoga. She asked me if I would like to write a picture book about feelings or mindfulness. I said I would try. I was curious about the idea of mindfulness and started googling it to see what it was. I found out I liked it, but I wasn’t sure how to describe it for kids. What should I do? When in doubt, try writing a poem. Because mindfulness is an idea from Asia, I thought I would use an Asian poetry form. But haiku seemed too short to me. Maybe tanka would work, though I didn’t know much about it. So I googled tanka, too. I learned that tankas came before haiku in Japanese history and eventually turned into haiku. A tanka was similar to a haiku, but with more room for saying what I had to say. I decided to write a collection of tankas about mindfulness for kids. Most of them would be about nature since I had experienced mindfulness myself in nature. that rests quiet in my hand. How I rush rush rush! Thoughts flutter and dart like birds. There is time to breathe and be. Pretty different, huh? But I’ll bet you can see how the idea stayed the same even as the images changed. Here, I’ll share two more poems from the book with you. They’re both about having a quiet place. I go when the world is loud. A moss-green forest with birds. at the edge of blue water. Now picture a quiet place that’s just for you. It can be one of your favorite places you’ve been to, like a beautiful place you went camping, a park you like, or even your own bedroom. It can be a place from your imagination. But it needs to have good details, and it should be peaceful. 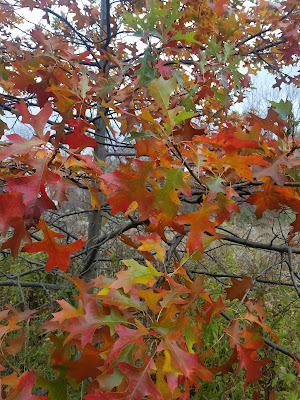 Are you ready to write your own quiet place tanka? 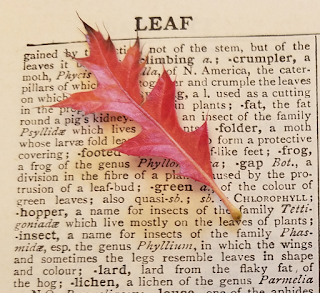 Start by making a list of words and phrases to describe your quiet place in a way that paints a picture. Then turn the best things from the list into lines for a tanka. The syllable pattern in a tanka goes like this: 5, 7, 5, 7, 7. Or just think “short, long, short, long, long.” Note that unlike me, you don’t need any lines saying “quiet place.” You can just describe it. Once you’ve created a quiet place for yourself, you can picture it whenever you’re feeling upset or worried. Pretend you are there. Breathe slowly and deeply while you picture it, and see if you feel a little better. That’s what a quiet place is for, to help you feel the peace and awareness that is mindfulness. Thank you so much, Kate, for joining us today! And thank you, Sounds True, for offering a giveaway to a commenter on this post. Please comment by next Thursday, November 2 at 11pm to be entered into a givaway to win a copy of BREATHE AND BE. Congratulations to Cynthia J. Iannaccone for winning my book birthday giveaway for POEMS ARE TEACHERS. Thank you, Heinemann, for offering the book, and Cynthia, please think about the cookies you would like. There is also a new giveaway (5 copies!) for POEMS ARE TEACHERS at Goodreads and an interview and giveaway at Two Writing Teachers. 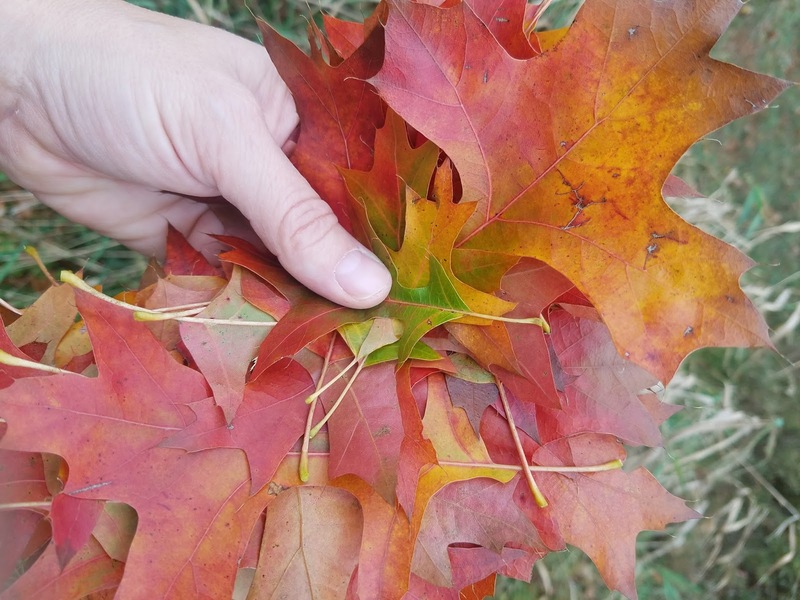 Too - don't miss the Halloween poems in the sidebar! Please help yourself to those poem treats. Happy Poetry Friday, friends! 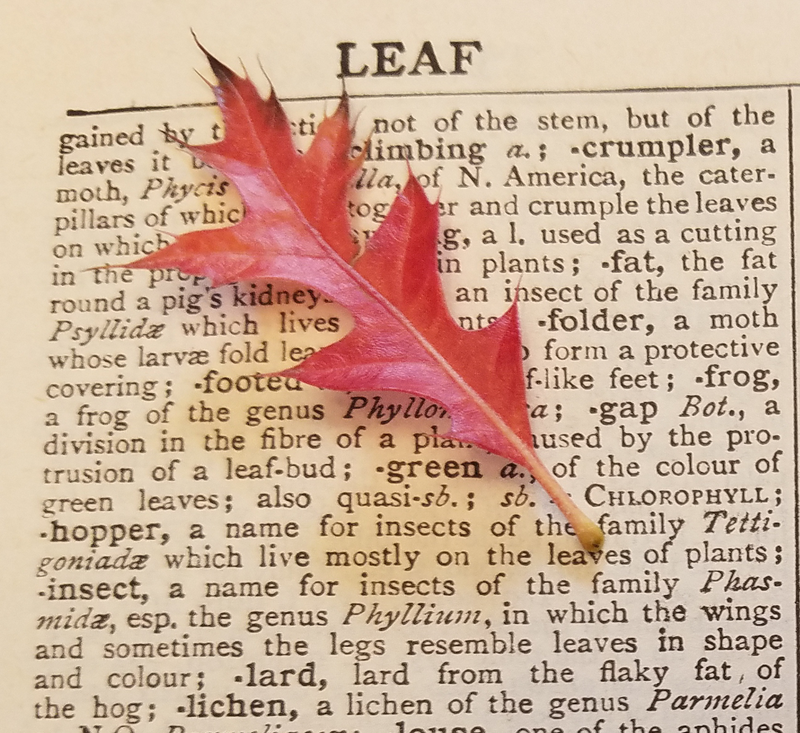 Visit Brenda for this week's Poetry Friday roundup over at Friendly Fairy Tales, and you will meet a mysterious poetic creature. Amy and Kate, thank you for sharing the story behind BREATHE AND BE. For many years, tanka has been my favorite poetry form, both for reading and for writing. I can't wait to read this book! It was wonderful to hear some more about this book, which is so lovely, and its origins and Kate's process. Thanks, both of you! I loved learning about Kate's book. And such beautiful poems. Thanks for sharing this with us! Oh, the trees I've talked to in my lifetime...and yes, thanked. They have absorbed so many thoughts and comments of mine. Trees are absolutely some of my dearest friends. Thank you for the beautiful book review. I'm in love with the illustrations that support each tanka. What a lovely idea and of course....why poetry is so healthy. It's a mindfulness exercise. Thank you for the poetry treasures, Amy and Kate. The page with the title poem is breath-taking, though I know it is better to slow. . . Thanks for a lovely post, Amy, and a gorgeous book, Kate. I have been trying to work on being on the moment, this actually sounds like a collection that would be a perfect read! I was thinking of this book for children when I ran across a companion book for adults: Poetry of Presence: An Anthology of Mindfulness Poems (from the blog A Year of Being Here). Poetry is perfect for giving us a moment of calm and reflection. Holding a handful of gorgeous pin oak leaves works, too! What a beautiful post! I loved the photos and the poetry. It was fascinating to read the before and after-editing poem that Kate shared and to learn about the process behind this book. I felt myself becoming more and more relaxed as I read. Thanks to both of you! pick me, pick me, pick me please. Poetry is the perfect medium for mindfulness. You have to pare away the distractions, distill down the essence. Then what's left resonates, fragrant, potent and pure. What a perfect book for us poets. Ahhh...I feel more quiet and peaceful just reading this post and Kate's poem from her book. Thank you for sharing both the interview and book and poems. This is absolutely gorgeous! Thanks for sharing Kate and Amy! Very encouraging to see more and more pb related to mindfulness meditation available for classroom teachers. Dabbled in this, in yoga, in finding quiet places all my life. Brought all to the classroom through the years, then took my own course in mindgulness meditation through Thomas Jefferson University Hospital in Phila., and it changed me. Implement practices still w the kids, but this book is a lovely addition to the practice. A real game changer. Thanks.